Sanrio has opened votes for the 2019 Sanrio Character Awards which is set to run from April 10 to May 27th. An additional category has also been added for 28 characters that have collaborated with other companies and regional municipalities. The Sanrio Character Awards were first held in Sanrio’s monthly paper Ichigo Shinbun in 1986. This year marks their 34th run. Voting are open for 48 days up until May 27 with winners set to be announced at Sanrio Puroland on June 4. 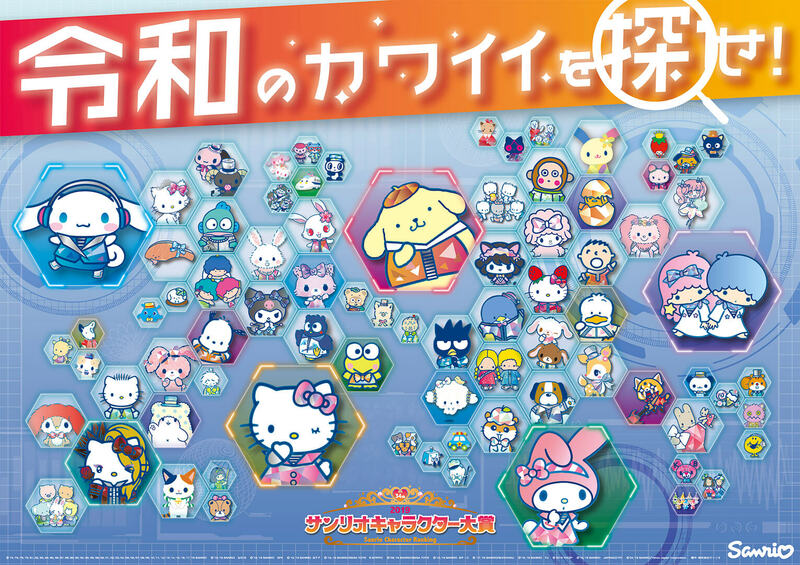 Eighty of Sanrio’s 450+ characters are participating this year. Who will be the winner this year? Will it be Hello Kitty who is celebrating her 45th anniversary this year? 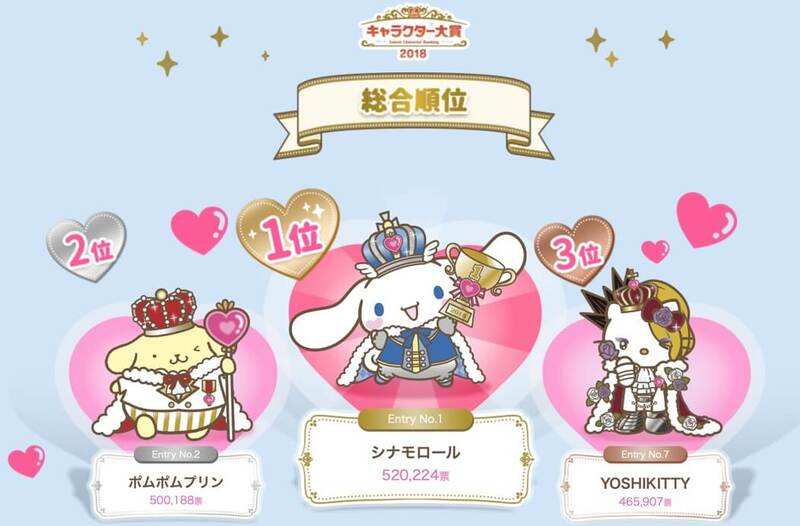 Will Cinnamoroll take home the crown for the third year in a row? Will YOSHIKITTY bump up the list this year, the character made in collaboration with X Japan’s Yoshiki? This year Sanrio are looking for characters who will best represent the start of Japan’s new Reiwa era and who can deliver new kinds of ‘kawaii.’ During the voting period characters will take to social media and appear at events around Japan to showcase the kawaii of a new era.